Hello, Motherhood for new mothers. Your guide to a healthy postpartum. Proper nutrition when it matter most. When a baby is born, a mother is born, and it’s crucial that a new mother's health is made a priority as well. 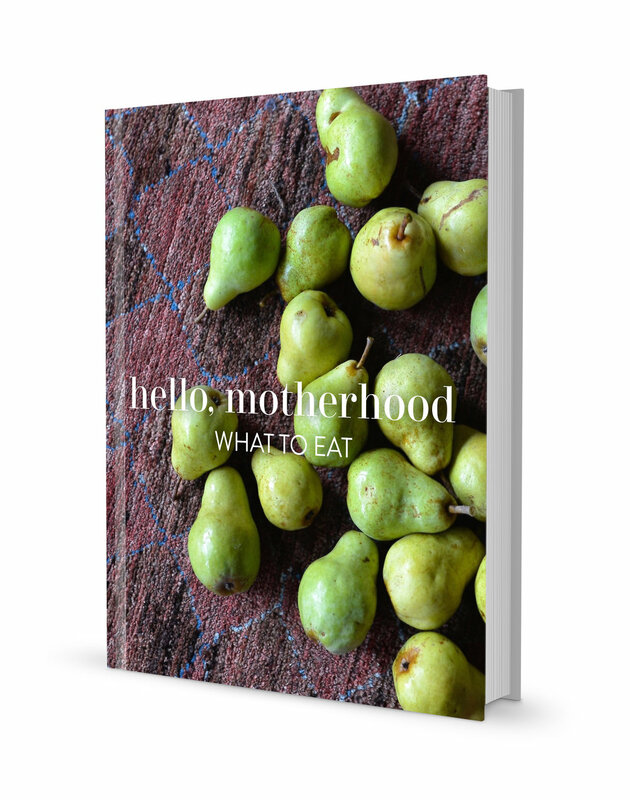 Hello, Motherhood is self-care for the caregiver, and your guide to a strong and nourished postpartum. Being mindful of your well-being isn't self-indulgent; it's necessary so that you have the energy and clarity for the demands of your new role. As you begin your journey into motherhood, this guide offers the necessary support throughout this sacred time of transformation. The end of pregnancy is usually spent ensuring you have everything you need for baby to arrive, but don’t forget about yourself! This guide is about mothering the mother after baby arrives. It includes all of the essentials to assist your recovery during the early postpartum period. Being prepared will help you heal faster after birth so you have the strength to care for your new bundle. I work with new mothers, and am one myself, so I know how quickly your own health & well-being can fall down the list of priorities. You deserve to feel energized and satisfied by the foods you eat. A practical nutrition plan will help you build new healthy habits that you can actually maintain, while safely balancing your body and replenishing your reserves so you can feel revitalized. Your body went through significant changes during pregnancy. It’s not often discussed, but after having a baby your body will continue to change in ways you may not be prepared for. There’s bleeding, night sweats, engorged breasts, leaking, possible hormonal imbalance and even postpartum hair loss. This guide will provide you with proven and effective remedies to support you through this transition. Your new addition may rob you of a full night's sleep, but pregnancy and breastfeeding could also significantly deplete your body's nutrient stores, leaving you more susceptible to conditions such as anemia, osteopenia, fatigue and depression. Supplementing is never one-size-fits-all, so this guide outlines exactly what nutrients are required to replenish yourself, according to your own unique needs. Delicious, nutrient dense recipes created specifically to support you through postpartum and beyond. Includes energizing snacks, coffee alternatives for the sleep-deprived mother, hydrating beverages to support breastfeeding, and even anti-inflammatory foods to assist recovery after birth. If you’re breastfeeding, what you eat directly affects the quality of your breast milk and the health of your baby. This guide includes natural methods to increase breast milk supply, lactogenic foods & herbs, tips for gentle weaning for when the time comes, and more. 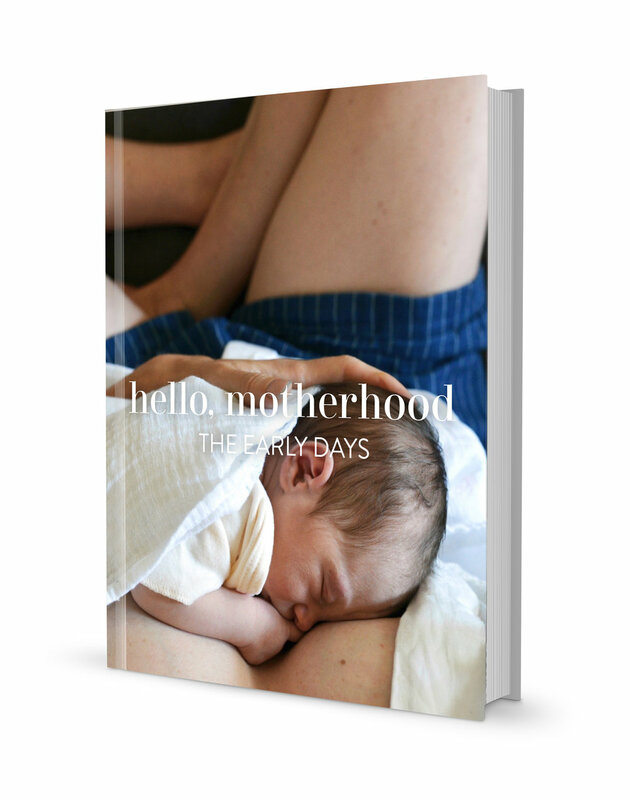 Be the first to know when Hello, Motherhood becomes available!